Poets Row, Denver, Colorado | ride. travel. live. 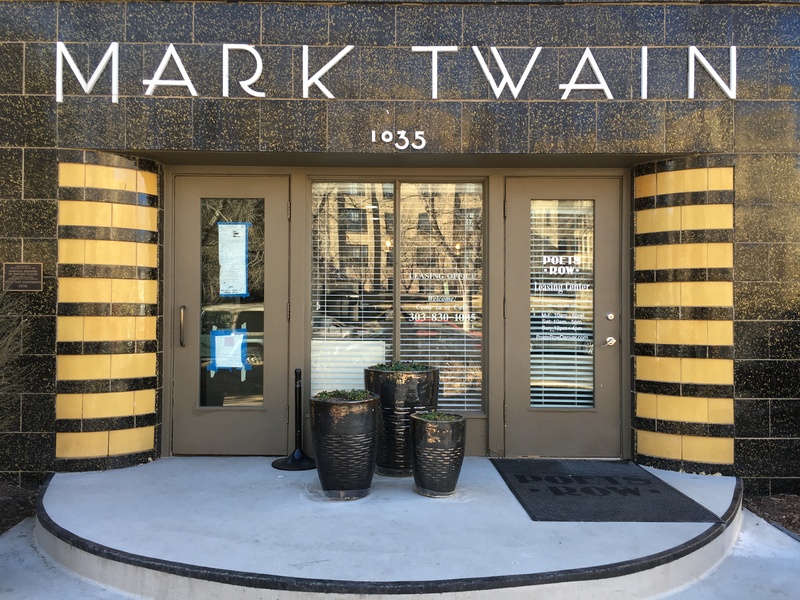 I came across this very nifty corner of Denver as I was wandering around the city last weekend, taking advantage of the holiday weekend and balmy 70 F temperatures. Normally I just change planes in the airport, but this time I spent a day exploring downtown and the neighborhoods northeast and southeast. 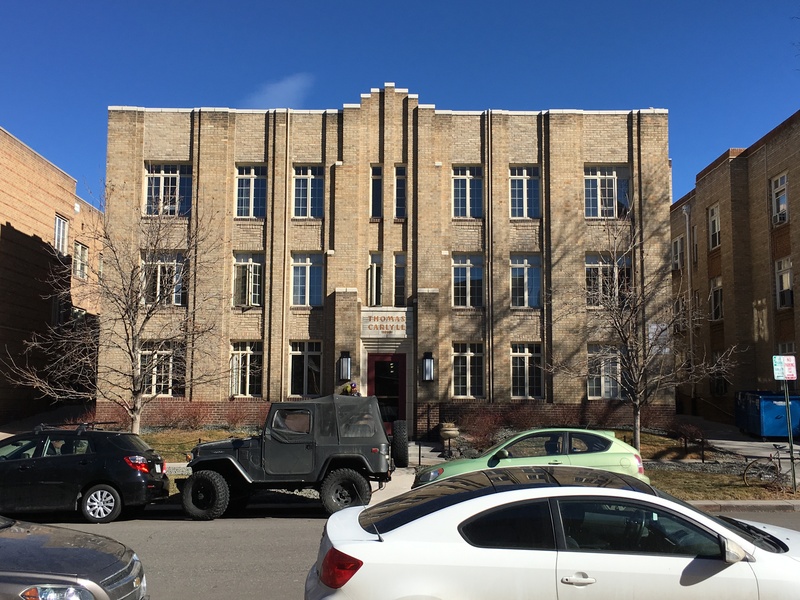 Poets Row refers to a National Register-listed block of apartment buildings directly south of the State Capitol, on Sherman Street between 10th and 11th. 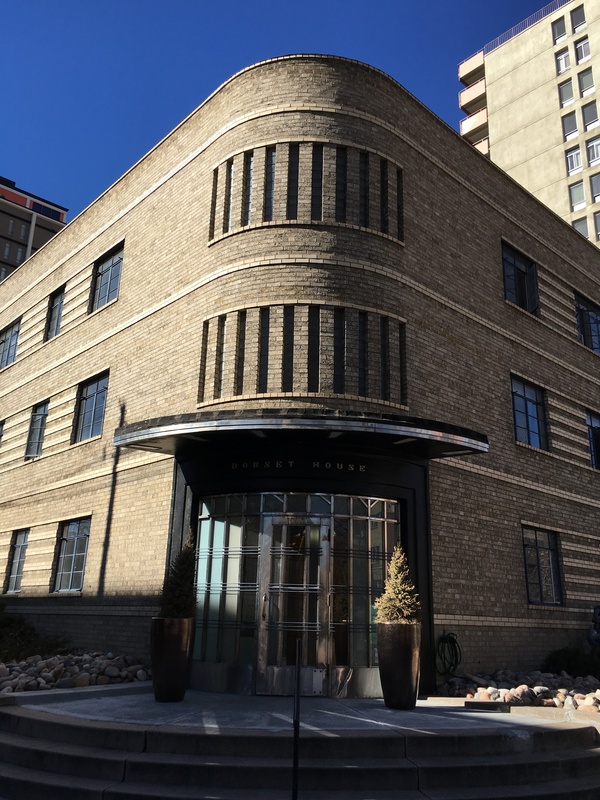 These were mostly built in the 1930s and 1940s and together they form a harmonious group of Art Deco, Moderne, and International Style structures that have seen new life as residents have returned to the central city over the past 20 years. They’re named after famous writers, not really poets. The buildings are nothing fancy or luxurious, but are notable for being an intact row of apartments that gives a glimpse into city living 70 years ago. Aside from the view of the skyscrapers downtown, this is a virtually unchanged streetscape, and a wonder that it survived all these years without being torn down or otherwise defaced. 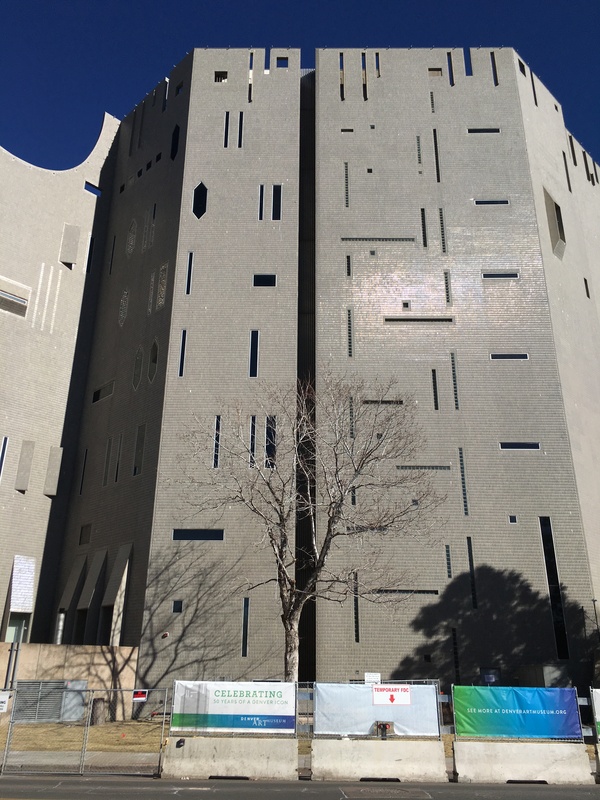 Downhill, a couple blocks away, are the distinctive buildings of the Denver Art Museum- the Daniel Liebeskind building is the most recognized, but I have to say that the fortress-like Gio Ponti structure (1971) really caught my attention. This is Ponti’s only US design, and I haven’t decided whether I love it or hate it. I don’t think it really fits the location so close to the Capitol and City Hall, and it’s an unavoidable structure that barely resembles a museum. I thought it was a jail, like the one in downtown Chicago. « More posts soon. . .